Concerns about water quality safety polluted by petty bickering. An aggressive effort that promised the possibility of powerful results for the community devolved into petty infighting and invective as the RIRA Common Council's leadership wasted Friday throwing barbs and struggling to place blame. Responsibility was discarded in a cloud of conjecture. Over the summer, after RIOC's still unexplained effort to force the cat sanctuary out of Southpoint, investigation by Frank Farance uncovered evidence indicating that the State agency had been supplying fountains Island-wide with water unfit for human consumption (non potable) for decades. RIOC acted swiftly, shutting off the fountains and contracting for testing, the results of which, they suggested, showed no serious hazards present. But the viability of the testing methods and the testers expertise was immediately challenged, and RIOC arranged a second set of tests, this time overseen by the State Department of Health. Those results were also deemed positive. But unsatisfactory to many, including this newspaper as failing in both methodology and scope. The Common Council then acted with unusual aggressiveness, demanding a meeting with RIOC to express community dissatisfaction. The meeting, which took a month and a half to arrange, is on tap for this morning (September 14th) at 9:00, information withheld from us until last evening. "This meeting was set in direct response to the July 25 Letter sent by myself, as RIRA President, and the Co-Chairs of the Island Services Committee, Mickey Rindler and Rosanna Ceruzzi," said Jeffrey Escobar in an email, "wherein we objected to the water study, voiced our disappointment in the handling of the matter, and the failure to keep the community apprised of what is going on." All well and good, but his next sentence, in a capsule, is the thorn that managed to irritate all sides of the issue. "RIOC," Escobar claimed, "then sent out meeting invitations and arranged the meeting." The problem's with who's allowed to attend the meeting and who decided. Frank Farance, who's expertise and efforts brought the dangerous conditions to light, as well as local media, the Roosevelt Islander and The Daily, were excluded. The unresolved question is why, and RIOC as well as the Common Council spent all of Friday disclaiming responsibility. Common Council representatives scrambled, contradicting each other as well as RIOC. Friday morning, Common Council and local media inboxes lit up with a fiery email from Farance. "This is ridiculous," he wrote. "Since when does RIOC get to choose who represents RIRA and the residents? Mickey [Rindler] isn't going to be able to argue this, he doesn't have the knowledge." Rindler co-chairs the Common Council's Island Services Committee. He rebuffed Farance's request to be included in the meeting by blaming RIOC. "You should understand that RIOC specifically invited ourselves and Jeff to the meeting. Although we brokered the meeting, they chose the invitees and under the circumstances, we decided it was appropriate to limit the meeting to those invitees," Rindler wrote in an email on Sunday. Escobar was on the copy list and raised no objection. Along with concerns about the level of expertise the Common Council brings to the meeting, it was also alarming that Escobar and company allowed RIOC to dictate who'd be allowed to represent them. Wait a minute, RIOC objected. Through its spokesman, Alonza Robertson, RIOC told The Daily it had nothing to do with excluding Farance, the media or anyone else. "It's their meeting," Robertson said, meaning the Common Council. "Susan [Rosenthal] is trying to accommodate them." Were Rindler and Escobar scapegoating RIOC to cover for another episode of petting internal Common Council politicking, kicking aside resident interests in favor of an endless battle over turf? 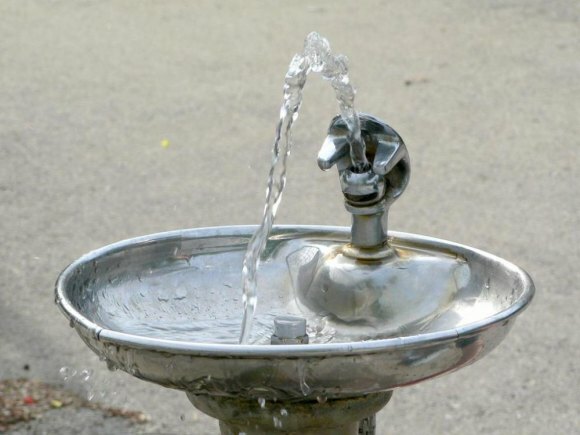 "In the first week of August RIRA President Jeff Escobar made a formal request asking for a meeting with RIOC to discuss the water quality issues at the various drinking fountains on the Island," Robertson explained, responding to a request for comment. "During our correspondence, he informed us that the Chairs of the Island Services Committee and himself would be attending. We did not dictate who was invited." On a critical health issue of significance to residents, someone was not being truthful. Robertson's version of events as they developed were backed by RIOC's top executives, President Susan Rosenthal and Vice President and Legal Council Jacqueline Flug, who were copied in all the correspondence. By late afternoon, Escobar, whose communications were hampered by a day full of travel, weighed in. "This exchange is ridiculously and completely out of control," he complained. "None of what is being extrapolated from limited correspondence received from RIOC is true and it is unfortunate that, rather than focusing on working on appropriate preparation for the meeting the dialogue has devolved to egos of who is being invited or not invited and conjectures of suppositions of anything beyond working for the Community." But he again placed blame on RIOC. "RIOC had sent out the meeting invitations and was, ultimately, in control of the invitees," he wrote. "RIOC set up the meeting and invitees. There was no discussion about barring media attendance. If RIOC had desired to have others outside of who was invited to attend, this was not raised to us." Rindler's version was similar but more pointed: "Although we brokered the meeting, they (RIOC) chose the invitees." RIOC repeatedly said they did not. They were trying to accommodate Escobar's request, and even the long delay was caused by their arranging for a Health Department representative to be on hand to answer questions. The Daily sees no reason to suspect that RIOC is being anything but forthright. They have no reason to exclude Farance from attending, and in fact, Rosenthal has publicly thanked him for bringing the situation to her attention. The press? RIOC has said that media representatives were similarly excluded at Escobar's request. And The Daily learned that, as the dispute unfolded yesterday morning, RIOC reached out to Escobar, offering to open up the meeting to anyone wishing to attend. Escobar declined, according to a reliable source. By the end of the day, as Farance called for Escobar's resignation, the Common Council's President as well as Committee co-chairs, Rindler and Rossana Ceruzzi, scheduled to attend the meeting said they had no objection to media attendance. The same courtesy was not extended to Farance, which fueled claims of a serious community issue being contaminated with petty politics. "If you support the media's attendance; and if Rossana (RIRA ISC Co-Chair) supports my attendance; then why can't I attend?" Farance asked Rindler in an email, concluding, "So now it's just 'let's exclude Frank?'" Who's right and who's wrong? Who's not telling the truth here and why? There's not enough evidence for definitive conclusions, although what we do know leans heavily in one direction. What we know for sure is that dishonesty, finger-pointing and pettiness threatens to turn an important initiative into a wasted effort as confidence in all the parties involved erodes.